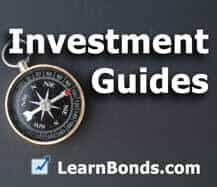 Municipal Bond Insurance - What Value does it Provide? Municipal Bond Insurance – What Value does it Provide? It is simply a guaranty that the holder of a municipal bond will receive scheduled interest and principal payments when due, even if the municipal issuer fails to make these payments. It is literally an insurance policy against an issuer’s payment default. Sometimes bonds default. Even municipal bonds default, even though the default rate on municipal bonds is much, much lower than with corporate bonds. Some municipal bonds are insured by private companies against default. However, there is a cost to municipal bond insurance. Potentially, you could receive a much lower interest rate for insured bonds, than comparable non-insured bonds. The question is how much the added protection is worth. Who Provides Municipal Bond Insurance? Currently, there is only one company that is actively involved in the market for insuring municipal bonds. The name of the company is Assured Guaranty Municipal Corp (a subsidiary of Assured Guaranty LTD.). The parent company is publicly traded NYSE:AGO. While there used to be several companies that issued municipal bond insurance, including AMBAC, CFIG Assurance North America, MBIA, Assured Guaranty Corp was the only company that survived the 2008-2009 mortgage collapse with its financial situation in good order. According to the company’s website, 1 in 8 new municipal bond issues since 2010 has carried insurance from Assured Guaranty. Usually, its the issuer that buys the insurance that protects the bondholder. In most cases, a retail buyer does not have option of choosing to purchase insurance on a bond, they can only choose to buy a bond issue which either already carries municipal bond insurance or not. Municipal Bond Insurance: Do municipal bond defaults happen? Recently (in late April 2012), Harrisburg Country missed a payment to bondholders. Some of the debt was insured by Assured Guaranty Municipal Corp. When the county missed the interest payment, the insurer stepped in and made a payment of $425,000 to bondholders that held the insured debt. Until Harrisburg resumes payments to bondholders, Assured Guaranty will continue to be responsible for making payments. Municipal Bond insurance provides excellent protection against the individual incidents in which a particular municipality mis-manages its finances, or has its finances damaged by a locally isolated event (such as a major employer re-locating). Harrisburg is good example of of a time when municipal bond insurance is useful. The financial situation in Harrisburg had to do with the specifics of the county (including the multi-billion dollar sewer project which the county embarked on) and not a larger issue that affected many municipalities at once. What are the potential problems with municipal bond insurance? According to Assured Guaranty, they have access to about $13 billion dollars to re-pay claims. However, the company provides insurance on $400 billion of bonds and securities. In its most recent report on Assured Guaranty, S&P specifically highlighted the company’s exposure to Commercial Real-Estate Mortgage Backed Securities as a major risk. The argument is fairly complicated, but it comes down to the idea that there is big discrepancy between ratings on municipal bonds and corporate bonds. Essentially, that A rated municipal bonds may have a much lower risk of default than even AAA rated corporate bonds. Given the low-risk of default, do you really need insurance that might cost you a quarter point or more of yield? The principle behind the purchase of bond insurance is to put a financial backstop between the investor and potential risks, seen or unseen. We all buy insurance to protect us from the unknown. The premiums may be costly, but less onerous than losing some or all of our investment in the bonds (or homes and cars) being insured because of unforeseen events, man-made or otherwise. The failures of bond insurers during the mortgage meltdown, in my opinion, were being over-leveraged, under-regulated and blinded by the glare of the huge amounts of cash coming in the door from the creators of various forms of bond derivatives being structured and sold to uninformed investors by investment bankers who took great risks with other peoples money while earning huge profits on both sides of the transactions in the form of structuring fees, management fees and commissions being paid for selling the bonds in the market. In many cases, the various parties to the transactions failed to see the worst case scenarios leading to defaults, or if they did, they kept that information to themselves to keep the cash flowing in their direction. A founding tenant of purchasing any form of insurance to cover potential risks is to have the belief that the company providing the insurance can and will be able to cover any losses covered by the insurance agreement. Insurance regulations require the insurers to set-aside sufficient cash from premiums collected and invested in risk-free investments so that when and if the insurer is called upon to cover any insured risks, there are sufficient funds to make every one whole. Most recently, this did not happen because the risks were not understood by the insurers and/or the amount of risk being taken on was seriously underestimated. Should the insurers have been aware of the potential risks with these over-leveraged mortgage security transactions…the simple answer is yes. Did they make prudent decisions in taking on this amount of risks? I believe no but that’s the responsibility of the state insurance regulators examining these transactions which were structured and sold, creating much of the housing crisis being felt by the economy today and for many years to come. Had every participant in these complex financial transactions been required to take the top ten percent of losses associated with their part of the transaction including the borrower, the mortgage writer or broker. the individual mortgage insurer (government or private), the creators of the mortgage-backed securities (Fannie, Freddie, Ginnie and other private entities) which became the building blocks of these highly leveraged transactions, and the investment bankers structuring the mortgage-backed derivatives which they sold to institutional and individual investors, perhaps none of the calamitous effects of the World-wide financial crisis would have happened. My thoughts, Marc, to be considered in response to your question “Is buying an insured municipal bond worth accepting a lower yield?” The simple answer is yes if every one involved in the transaction does what they are paid to do and will suffer significant financial losses if their due diligence is flawed.